The University of Warwick has just announced that it has surpassed the goal it set of raising £50 million to invest in research and teaching by the end of its 50th anniversary year in 2015. On Friday 16th October it was revealed that the target has been surpassed, with over 12,000 donors having come together to give £73 million since the campaign’s launch. This will change countless lives either through giving individual students access to higher education, enhancing the experience of students already at the university and funding research that will help address a range of medical and other global problems. £2 million for the innovative Warwick in Africa Programme, in helping over 200,000 teachers and learners across Africa in maths and English education. The announcement follows the two day Festival of the Imagination on its main campus which enabled staff, students and the local community to explore the vast array of technologies and topics being research by the University. 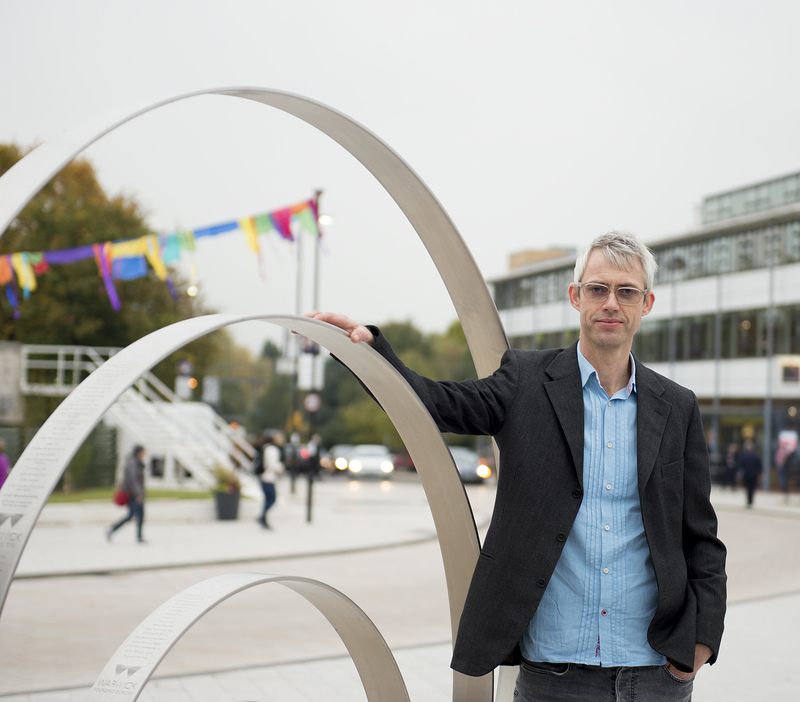 On the first day of that festival the University unveiled “The Ripple Effect” a new art work by the artist Philip Melling that marks and celebrates this success and includes the origin of every donation in excess of £25,000 made to the University since its foundation. The artwork is so named to recognise the fact that donations to the University have a ripple effect; donations from our founding benefactors have impacted the lives of those who have resided with us over the past 50 years, and, together with current and future benefactors, will continue to have an impact in future generations too. “Fifty years ago £4 million was raised to help establish the new University. Those founding donors, many of them businesses and individuals based in Coventry and Warwickshire, are engraved within our donor circle alongside the equally generous benefactors who support us today. “When we began planning for our 50th that we recognised the need to engage with our alumni, friends and stakeholders to mark the occasion with a shared and fitting declaration of our commitment to Warwick. We set ourselves an ambitious target to raise £50 million in philanthropic support to help us address local and global challenges by investing in Warwick’s people, research and infrastructure. “I am delighted to announce that we have completely surpassed this target. The generosity, of over 12,000 donors in total, has seen £73 million raised and countless lives changed."